Inspired by my friend Cameron, I told myself to keep a list of books I read in 2003 so that I could look back and feel like, wow, I've read me some books. I mean, I love books, right? So I should pay a little more attention to what I read. Also, if I ever wondered whether I'd read such-and-such a book, I could look at at least one list and know for a fact what I had and had not read. Wow. So excellent. So depressing. I actually bought it and started reading in end-2001, but I couldn't make myself go on after about one-third of it because it was so depressing. I don't know how Franzen's earlier books read, but damn, this one is good. Nothing like the dissection of human nature in a too-too-dysfunctional family to make you weep for the human race. Eh. Read it because John Scalzi plugged it. It really didn't grab me. 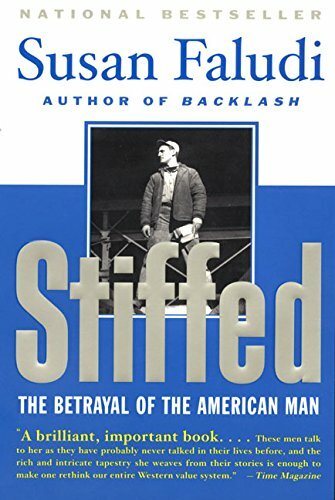 Excellent, as was Backlash, though I can't help wondering what people on the train thought I was reading, since I was toting a hefty hardcover version with the title in bold lettering over a sepia-toned photo of a construction worker-type man. It's the same one that's on Amazon's current cover, just that the photo took up the whole book cover on my version. I am a big fan of Philip Roth, though I started with his American Pastoral/I Married A Communist/The Human Stain trilogy, so this one seemed a little light in comparison. But just a little. The sad thing is that while I remember it was a good, good book, I don't actually remember much of what was in the book. Dammit! But don't let that stop you if you want to read some modern multicultural British fare. Ah, Rushdie. Ah, middle-aged men having mid-life crises. Ah, Manhattan. Bill Bryson is the guy I turn to when I need something to read on the train, but I'm not up to something heavy like Fury or The Corrections, because I know I will have a good time rereading his books for the zillionth time, it will make the train ride go by quicker, and most importantly, will get me in the right mood so that I actually make it to and from work without tearing my hair out at work's frustrations. This was a birthday present. A little too high-falutin' at some points, but the later essays in the book were more digestible. Iyer's another old faithful on my bookshelf. The main reason I picked this up again was because we were going to Kyoto, where Iyer met and fell in love with his lover, and I like reading about the places I'm going to travel to. How sad is it that I don't remember any of the intricacies of the math in this book? I remember the splendid illustrations, though. Sterrah's recommendation. I didn't read it in one sitting, like she did, but I did keep right on reading once I was near the end of the book (yes, it's strong enough to overcome the slumbersome allure of our couch). I bought this book, then an ex-student gifted me with an autographed copy! That's a perk of knowing people who go to Columbia. So I sold my copy to a friend and read the autographed one. I like! I'm all about dystopias and weird science gone wrong, despite the occasional heavy touches. They're big books belonging to the same trilogy (see #19 below), so I'm going to remember them together. Solid, traditional high fantasy plotting, that took a little while to build momentum, but once it got moving and the Sithi were actively in the picture, I was sold. The book that I said I would give to all my nearest and dearest for their birthdays. So far, I've given it out twice and, I suspect, assisted in cleaning out the local Borders' supply of it. I heard Waldman speak in 2002 and he had a jaunty way of telling stories that made me want to read his book. I suspect only researchers into presidential speechwriting and fans of The West Wing might be the only other persons checking it out from our local library. See #15 & #16 above. If this counts for 2 books, then technically, I've read 25 this year. A good fiction writer, not just a good gay fiction writer. See #8 above. I believe I mostly read this on the toilet and before bedtime, because it's in such bite-size chapters. I would've finished this book earlier if T hadn't taken it to India with him. A rereading inspired by an episode of ER in which the two male eye-candy leads quoted from it. Even though my reading was broken up by the fact that each train ride is only about 35 minutes in all, I still felt pretty drained by the time I hit Act V, and the last scene just flew by. A rather low note for ending the year's list, mostly because I don't know enough about mystic Judaism, Kabbalah and the like, and the book didn't quite inspire me to Google the information and educate myself either. At least I now know who Alex-Li Tandem is and his place in the literary universe, though. Over at Faulty Vision, Yuhri's reproduced the list of 100 Greatest Books of History, with strikethroughs for the ones she's read. I could never do that. Too depressing, to know how many allegedly great books one hasn't read, and I'd much rather work off the recommendations of friends and reviewers whose tastes I trust. If I'm going to read 30 books this year, one for every year I've been alive (interpret that how you will), would you have any recommendations?